Hey there readers. This is the 01027 Ninja. I'm gonna let you in on why I began this blog and a little history about what influenced me. I have been into the paranormal and the unknown basically all my life, or at least as soon as I began watching cartoons like Scooby Doo and Tales From The Crypt when I was a kid. It blossomed into Occult Research, Parapsychology Study, and Paranormal Research. Around 2001, I became introduced to Urban Exploration through the lens of a photographer I'm not going to name, but if you're into urbanEx I'm sure you'll know who I'm talking about- as well as the likes of Ninjalicious (RIP). Growing up a five minute drive from Old Main @ The Northampton Mental Hospital, as well as having both of my parents work there with social work for the patients, sparked interest in the field. 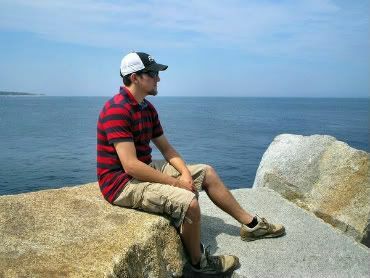 With growing up, working, and all that business we call life- the constant work in progress, I lost time for 'Splorin. 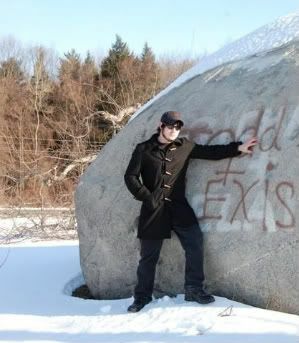 More recently in 2007, I joined up as a lead investigator in a Berkshire County based Paranormal group and got to investigate many old places ranging from Wizards Glen in Dalton (check out the history on that place- it's a trip!) and an abandoned/renovation in process Roman Catholic Church in Pittsfield, and being able to see the rich history hanging from the rafters and the rubble that once was the Holy Altar, I began thinkin about Urban Ex more and more. Through a series of events that I still can't really figure out, I got contacted just last nite by a friend of the aforementioned unnamed photographer through Myspace. Cutting to the chase, she reminded me of UrbanEx and helped me remember how much I liked it. Once again, I became hooked. Thanks- you know who you are. So here we are. I'm not going to waste my time posting events and places I've been in the past with old pictures and evp's and the like, but what I will do is document here all the places I go with pictures. I won't be giving out locations, as only trusted people will be handed that information. I will return to past locations and do a "Return To" special post for you all. My comrade Klondike will be with me through all these adventures. Remember - Never go it alone! So here it is. Don't expect all high-risk ninja adventures from me. I'm too young to go to jail. But I can promise you that you will be able to find some cool stuff in your backyard that you didn't know was there before. From abandoned industrial buildings, to scenic vistas, to simple oddities lurking in the shadows of local areas, you'll find it here from my adventures. If you ever want to join up on an adventure, you're absolutely welcomed. Just email me. Here's a picture of Myself, and below that, a picture of Klondike- the other administrator of this blog and the guy who is on every adventure with me. We always work as a team and chances are you'll see solo posts from us on here as well as collaborated ones. I'm the 01027 Ninja. I live and work in Easthampton, MA as a videographer for the community access television station and my biggest hobbies outside include exploring, playing guitar, working on cars, and having a generally good time.